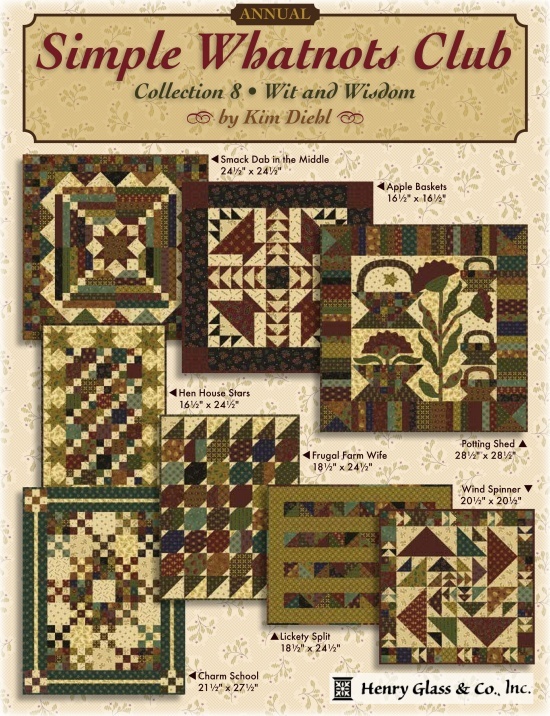 Join us as we begin Kim Diehl's 8th Simple Whatnots Club featuring her new Wit and Wisdom collection! Every 5-6 weeks Brenda will show and discuss a lovely new mini quilt using the rich colors and mini blocks based on traditional styles and techniques. Call the shop at 563-289-1447 to enroll.